In January, Ideal City compared Baltimore’s police budget to Chicago’s, as the cities’ rising levels of violence drew comparisons to one another. The article sought, in part, to push back on the notion that the Baltimore City Police Department (“BCPD”) needs more money in order to put more officers on the street. In comparing the budgets for BCPD and the Chicago Police Department, relative to the number of officers each employed in FY 2016, we found that BCPD was 38.4% less efficient per officer employed than Chicago. Chicago carried $115,847.23 in department overhead per officer on the street. Baltimore carried $188,064.03 in department overhead per officer on the street. We contextualized those numbers with academic studies showing that municipal government becomes less fiscally efficient as it grows larger, which means a much smaller Baltimore City should have an efficiency edge over Chicago. In May, while exploring best practice approaches to gun violence, we noted that 2017 is quickly turning into a more violent year than 2016 for Baltimore. Baltimore suffered its highest homicide rates ever over the last two years, but compared to last year, 2017’s homicide rate is up 26%. Shootings are also up 24%, and robberies are up 20%. Those statistics can become increasingly abstract when heard over and over again, but it’s important we not allow them to become separated from the loss of life they represent. These trends create a tremendous tension when placed in the broader context of the City’s spending priorities. BCPD’s budget went from a recommendation of $480,696,060 in FY 2017 to a recommendation of $497,100,000 in FY 2018, in spite of Mayor Catherine Pugh’s FY 2018 budget containing cuts for after school programs and insufficient spending to prevent 115 layoffs at Baltimore City Public Schools (“BCPS”). Years of rhetoric about addressing the root causes of poverty, and poverty’s relationship with crime, have led some residents to question Baltimore’s increased police spending in spite of still insufficient funding for education and youth programming — the idea being that even if City funding for BCPS rose in FY 2018, couldn’t an additional $17+ million for BCPS instead of BCPD prevent layoffs altogether and leave after school programs untouched? The funding tension between policing and education/youth programming should be thought of in terms of sufficiency, not priority. To put that in less fortune cookie-like phrasing: It’s obvious enough the City must lower its crime rates and improve its scholastic performance in order to function at its full potential; that being the case, it’s not a matter of choosing which issue is more important to invest in— we have to invest sufficiently in both. If we value public safety and education/youth programming equally then, intimately related though they are, funding questions become driven not by which one is intrinsically more important to invest in, but rather, by which one is further below the funding level it needs to function at full capacity. With violence continuing to occur at an alarming rate, a critical discussion of BCPD’s funding tends to be scuttled in favor of a hostage like mentality: give BCPD more money, or the violence will become even worse. When the violence isn’t curbed, the response is that more money is needed, with the cycle repeating itself over a period of years in the hope that some unknown dollar figure will prove sufficient. The chart below shows that cycle over the last 3 years of BCPD budgets, with FY 2018’s $497.1 million budget recommendation creating a potential spending increase of $41.62 million from 2015–2018. At some point though, a critical appraisal of whether increased police spending is leading to increased public safety must reenter the conversation in the mayor’s office. Too often we treat government as all art and no science, where questions of sufficient funding become inherently unknowable judgement calls, rather than detectable questions of fact. This tendency is debilitating, because it turns questions of policy into questions of precedent, in that we maintain prior trends instead of improving their underlying assumptions. The assumption that BCPD needs more money in order to drive down crime is a false one. Baltimore’s 2015 BCPD budget will have increased 9.13% since then if the mayor’s recommended FY 2018 budget is approved. Not only has increased spending failed to curb violence during that time, but violence has instead continued to rise to record levels. In what other field would a failure to succeed lead to increased investment for the failed approach year after year? BCPD has demonstrated that mass influxes of funding are not necessary to drive down crime in years past though. In 2011, Baltimore recorded its lowest year of homicides since the 1970s. That year, 197 residents died. 197 deaths represents a decline of just over 30% from 2007, when 282 homicides took place, which was itself the most homicides since 305 in 1999. How did the mayor’s office and BCPD respond to that uptick of violence in 2007, to create a decades-long low by 2011? 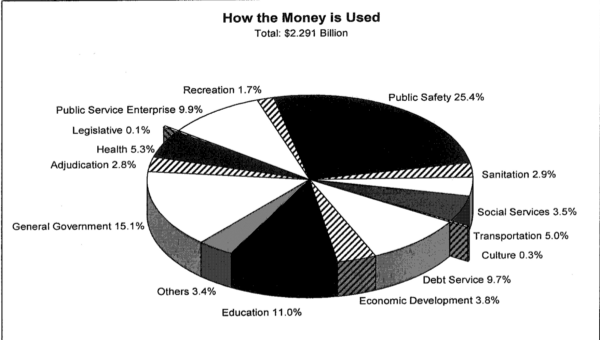 Instead of increasing spending, it cut its FY 2007 BCPD budget from $347,073,483 to $346,792,872 for FY 2008. Over four fiscal years, as violence trended down, total spending only increased to a total of $352,935,130 in FY 2010, before being cut to just $336,059,176 for FY 2011 — after which Baltimore experienced this generation’s lowest homicide rate. One could argue the extreme disparity between police spending a decade ago — when BCPD started on the path to a 30% drop in homicides with just $347,073,483 — and police spending today — with a FY 2018 BCPD budget recommendation of $497.1 million — is simply a matter of inflation driven cost increases. That’s simply not true though. The rate of inflation over that period of time is 17.9%, which would create a current police budget of $409,313,097.96 if cost increases held at the rate of inflation. That means Baltimore’s proposed police budget has outstripped the rate of inflation by nearly $87.8 million, without having made the City any safer in the process. Of course, it’s important to think about this within the context of Baltimore’s spending priorities writ large. 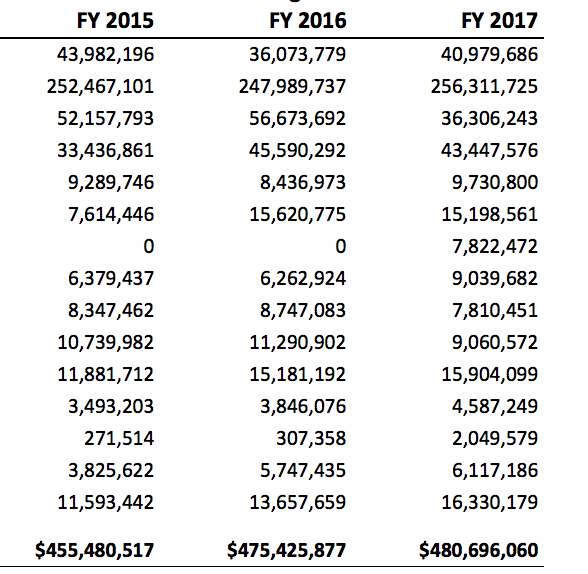 Consider the graphs below, which represent funding levels within Baltimore’s operating budget for FY 2009 and FY 2017. 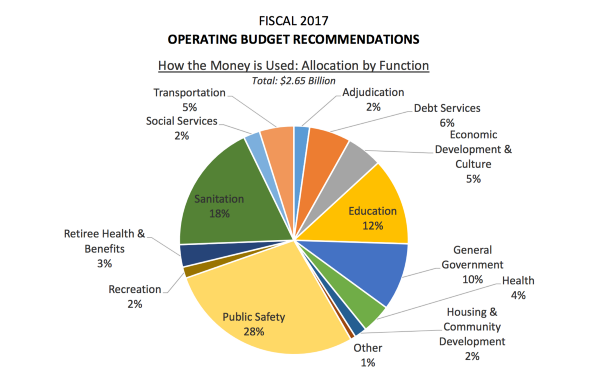 Though public safety spending has increased its share of the overall operating budget by just 2.6% since 2009, in the context of a $2.65 billion budget, that represents $68.9 million in spending that could be used elsewhere. For instance, $68.9 million is over half of BCPS’s $130 million budget shortfall. With BCPD’s ever increasing budget, we are presented with the same dilemma as Carl Sagan’s friend. We are assured that significant spending increases will lead to a safer City. Does that mean significant spending increases have led to less homicides? No, in fact homicides have risen. Does that mean significant spending increases have led to less shootings? No, in fact shootings have risen. Does that mean significant spending increases have led to less robberies? No, in fact robberies have risen. To paraphrase Sagan then, what’s the difference between an improvement in safety that doesn’t entail less homicides, less shootings, and less robberies, and no improvement in safety at all? Of course, there is no difference. Significant spending increases haven’t made residents any safer, and there’s no reason to believe that year after year trend will change. 3 things are undeniably the case then: 1) Significant increases in police spending are not sufficient unto themselves to create a safer City. 2) From 2007–2011, the City reduced its homicide rate by over 30%, and only increased BCDP’s budget by an average of $1.47 million per year during that period of time. 3) BCPD’s current resource levels are, relative to city government’s operating budget and the rate of inflation, significantly greater than at any point over the last decade. These 3 things being the case, it seems also undeniable that BCPD has more than enough money to do its job properly at FY 2017’s funding levels, without the over $17 million increase Pugh has recommended for FY 2018. It’s a matter of spending the money properly, not spending more of it. Tidemore Partner. Ideal City Editor. Central Committee Candidate in Baltimore’s 40th District.